Ben Parr's post on Mashable sums up the rather bleak international scenario for daily deals sites - things are not looking good. Groupon, which created the online coupons category, is struggling to make profits despite large revenues. Facebook has withdrawn its Facebook Deals product after a short experimental stint and Yelp is scaling down its deals offerings, with an intent to exit the category. It appears that the industry is headed for a shakedown and only a few players are going to survive. And Snapdeal's success in the market has been inspiring. The company's operations now extend to 50 cities and cover partnerships with over 10,000 brands and 50,000 retailers. The registered user base has crossed 4 million with an average of 1.5 million new users signing up every month. Mobile has proved to be a valuable vehicle leveraged successfully by Snapdeal to offer deals on the go, through SMS. Snapdeal's CEO, Kunal Bahl has an interesting take on his business. "In India, group buying is an pure offline marketing business with a website." He goes on to explain the psyche of the Indian merchant, who will never make a deal on the phone but needs to see and shake the hand of the person they are doing the deal with, necessitating the company to invest in a strong sales team to build deep relationships with retailers. Indian consumers are also a pampered lot. We are used to being wooed with ultra-high levels of service and irresistible discounts. We expect as a matter of routine, free door delivery, free 24X7 access to telephonic customer support and even lifetime warranties. This is beneficial for consumers, but it does increase the pressures, and squeeze the profit margins for e-tailers in the Indian market. And it implies that only really good deals, on really good brands will work. We are a little too smart to fall for patent anti-baldness oils, magical multipurpose Ayurvedic tonics and ab flatteners. So, will daily deals sites be able to sustain the momentum in the long term? The answer lies in innovation and creativity in offering deals that differentiate from the rest of the pack in an overcrowded market. Here perhaps Groupon has an idea that will work. The company has experimentally rolled out Groupon Now, time and location based deals delivered through a phone app on Android or Apple handsets. 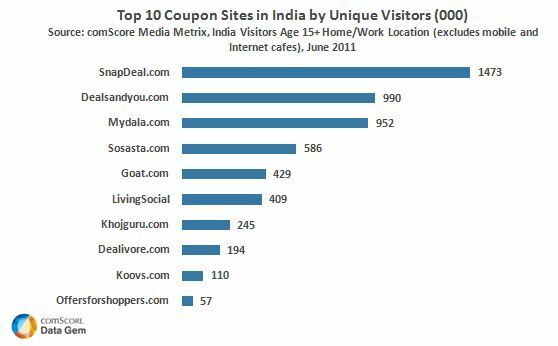 Mobile based deals are definitely the way to go in India given the large user base and the ability to pinpoint location. Also while Facebook Deals may have tanked, social networks remain a good bet for offering group deals. We do tend to shop and buy in groups and rely on our social networks as influencers for a purchase. Finally, understanding and building a user profile for deals will make a big difference. 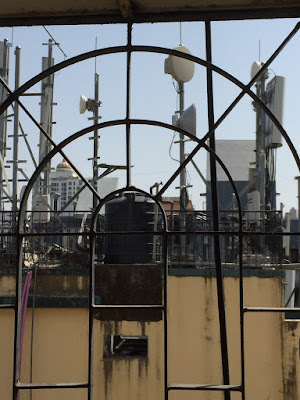 For example, if you know that I work in Mumbai in an office in Nariman Point, and you make it a point to offer me deals on restaurants, takeaways and pubs in that area on weekdays, at lunch hours, I would be more likely to avail them. If I purchase air tickets to Chennai, and you send me Chennai based offers on the day that I flew there, I would pass the lead to local friends, even if I could not go myself. Given the low usage of mobile internet and GPS in this country, most of this would need to work on text messaging, but I am sure it can be worked out. The concept of daily deals is interesting, and works to the consumer benefit. I do hope that the various companies in this business manage to turn it into a vibrant and strong industry.